I’ve had several great trips in the last few years. I’ve made blogs of each. 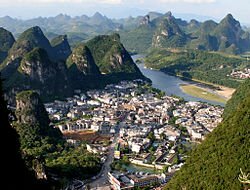 Spring ’12 in China: I spent the month of April ’12 in Yangshuo, China as a volunteer teacher at the Oral English College. I’ve posted a video here of my experience. Summer ’11 in New Zealand: I spend January/February 20011 in New Zealand for another southern hemisphere summer…with horses of course. I worked for Marianna Hayworth at her horse farm she calls “Our Little Paradise.” It is! Wilderness Adventures is at the foot of the Outeniqua Mountains near South Africa’s Cape of Good Hope. My time at The Silva Project on the Island of Corfu. What a beautiful place and working for Silvia was so much fun! We made a video about her horse breeding program with Franklin Levinson. Rodi, an Islandic horse and me. I took a couple “scooter” rides while on the Island of Corfu. Fun!